Last edited by darknick on Fri Jun 12, 2015 5:33 pm, edited 3 times in total. Last edited by Splat2018 on Fri Jun 12, 2015 1:41 pm, edited 2 times in total. Last edited by darknick on Tue Jun 09, 2015 10:18 pm, edited 1 time in total. Fake police ship, as splat said. 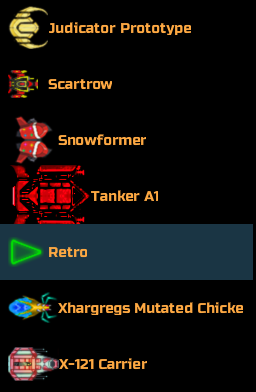 I've started with Astro Falcon (that was the only starter ship back then, around late 2012-2013). Bought P1 Pirate instantly, that's why I have just blaster weapon on the Astro Falcon. Played with P1 Pirate till level 72. Then bought Portal which is what I'm using now. Last edited by darknick on Tue Jun 09, 2015 10:19 pm, edited 1 time in total. 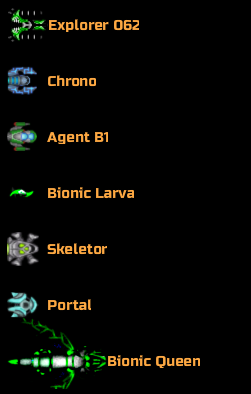 I used the first 3 ships for 1-2 months each before moving on to Medic which I used for at least 6 months, now I switch back and forth between a few different ships. Mostly using Retro right now though. Larva and Medic probably have the most play time invested. 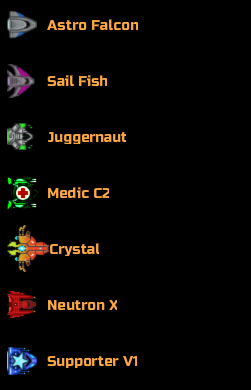 The end game ships, are not always the best... ya know.